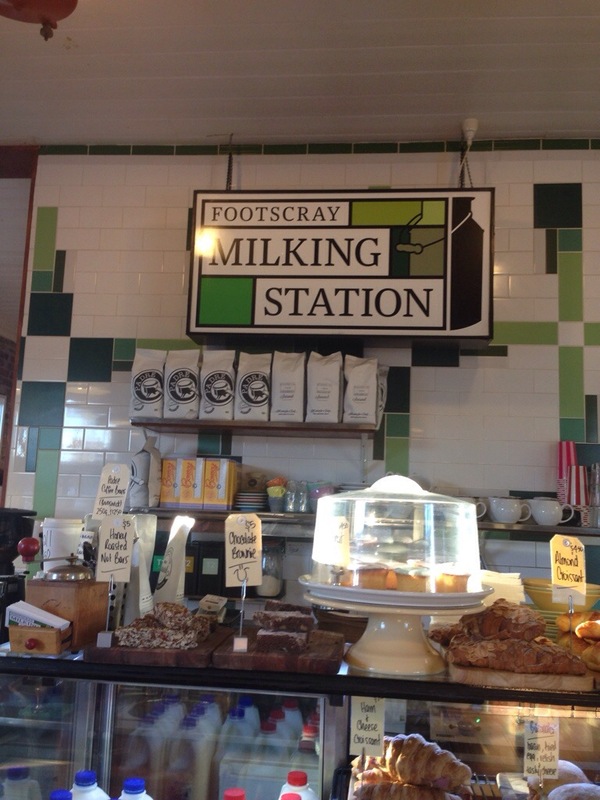 i’ve not yet ventured out to the western side of melbourne for brunch, but after some inspiration from @westsidefoodie, i decided that it was about time i gave the milking station a try! located on a gorgeous tree-lined suburban corner in footscray, there is no missing the green front door… and the interior is just as beautiful! inside the green + white theme continues, with some gorgeous corner tables, a mix of tiled + exposed brick walls + beautiful natural light streaming in through the big glass windows. 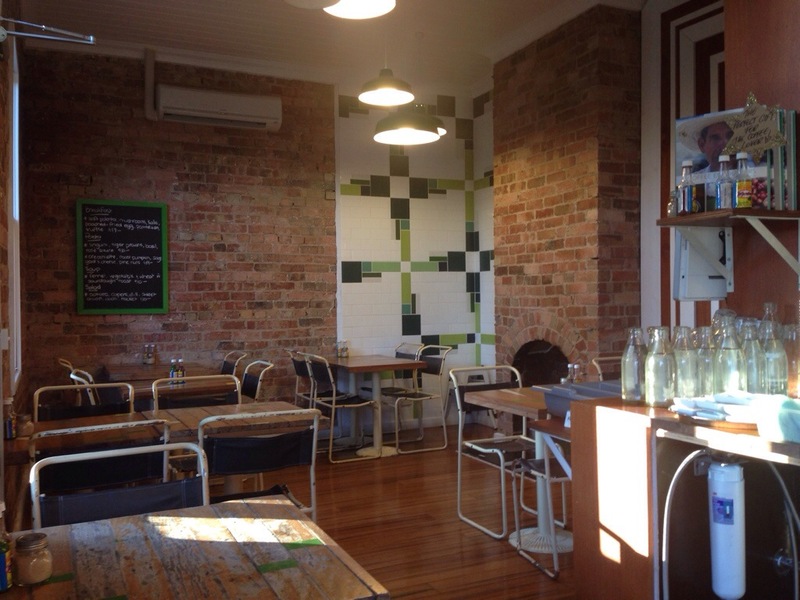 i was there pretty early (7.40am) but thankfully the kitchen opens at 7.30am on weekends (and 6.30am weekdays). it was clear i was one of only a few crazy early-risers, and while i enjoyed the serenity, i have no doubt this place would have a great buzz about it when full. 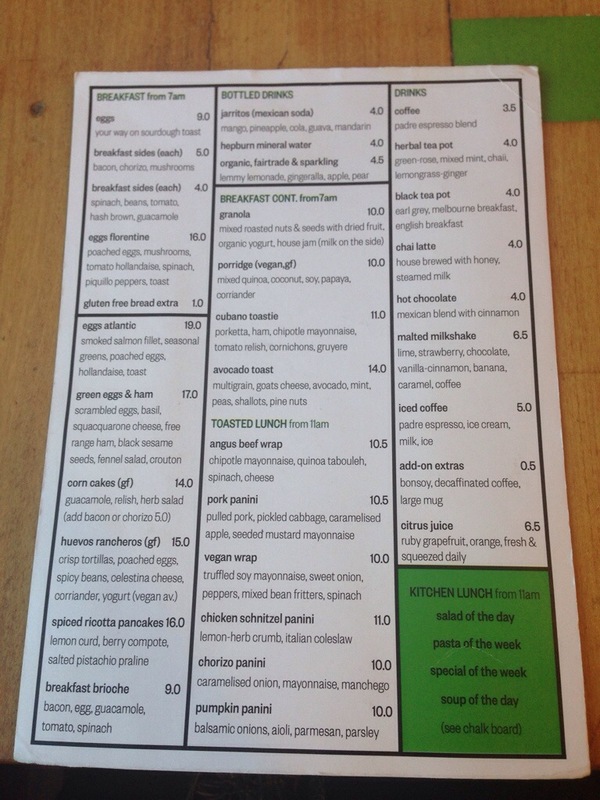 the menu is really exciting… a mix of your standard breakfast staples with some more unusual options thrown in. i was in the mood for something sweet this morning, but will be back to try the gluten-free huevos rancheros next time (an ode to my californian sister-in-law who i know would be impressed). i’m also intrigued by the savoury brioche dish. oh my goodness! amazing! 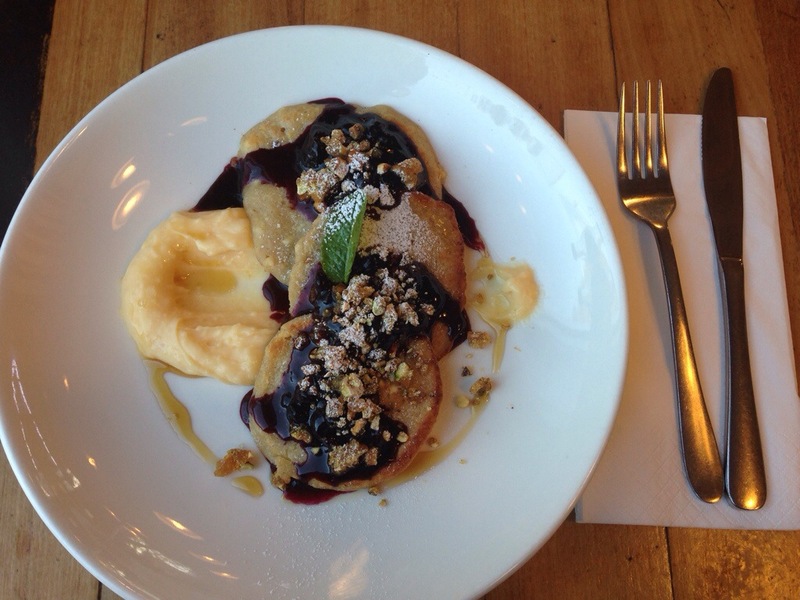 the pancakes were light + soft, perfectly topped with berry compote + the crunchy salty/sweet praline. but oh my! … that lemon curd! i could eat it by the bucket load! yummy x 100.
the coffee was also excellent. 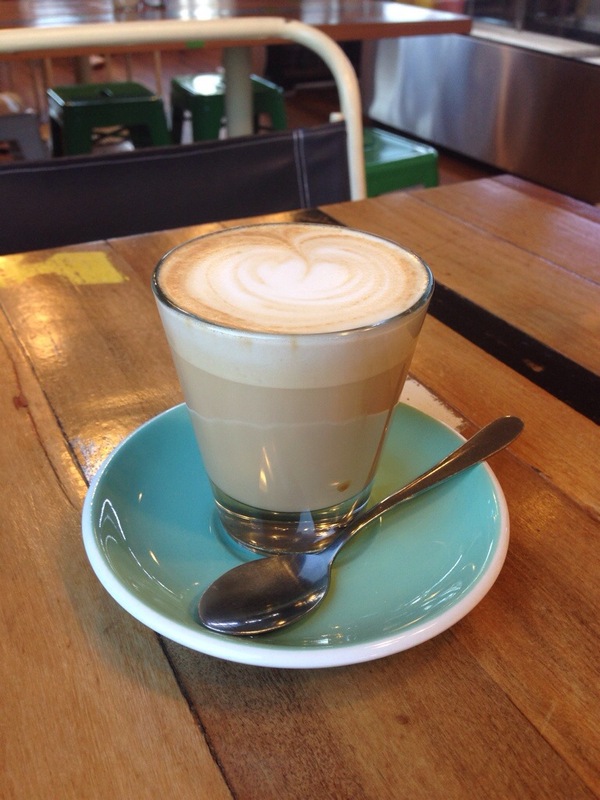 i make no secret of my love for padre coffee, with the south melbourne market store being a regular weekend stop of mine. personally i found the grapefruit juice refreshing + delicious, but i know my husband would be disappointed that there is only that or orange juice options… might have to go here solo again. the service was pleasant enough. the staff were friendly, but clearly still getting started for the morning, choosing songlists + stocking the food cabinet with freshly made rolls + yummy-looking baked goods. but to be honest, at 7.40am on a sunday morning i didn’t mind being left in some peace + quiet to read the paper + enjoy my coffee. it would be interesting to see how the service is during busier times. 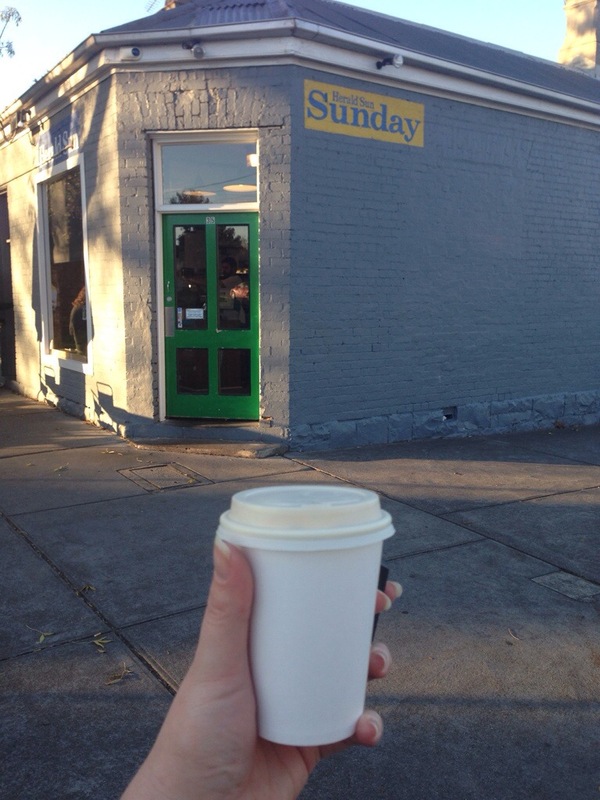 overall, very enjoyable + great coffee + food. Welcome to the dark side! Great review, thanks.